Ahead of a vote on whether to continue work on a 2026 Olympic bid, city council will discuss updated cost and venue plan for the bid. But how much the federal and provincial governments are willing to pay won't be revealed yet. Calgarians can expect more details on a potential Olympic bid to be revealed at a council meeting scheduled for next week. But one thing they won't find out is how much money the federal and provincial governments are prepared to kick in to this project. Members of city council were given a closed-door briefing on Tuesday, including an updated venue plan and the potential cost of the games. The missing information on covering the cost of the event is seen as critical to helping people understand how much financial risk the city could be facing if it's named the host of the 2026 Olympics and Paralympics. Coun. Evan Woolley, who chairs council's Olympics assessment committee, said the cost share information won't be presented during next week's meeting. 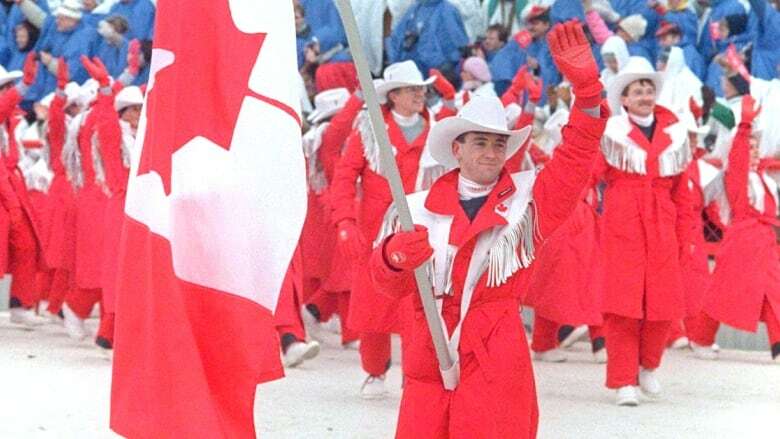 "I remain confident that Calgarians will have all of the information before them in order to make an educated decision on Nov. 13," said Woolley referring to the plebiscite that will be held on the Olympic bid. The provincial government has committed to revealing how much money it's prepared to put in a 2026 Calgary Olympics no later than 30 days before that plebiscite. There's no word on when the federal government will divulge how much it will contribute. The International Olympic Committee (IOC) has said it will put $1.2 billion toward the host of the 2026 games. Mayor Naheed Nenshi said if the numbers don't make sense, then Calgary won't bid. But based on the range of numbers the city is hearing, he feels there's reason to stay in the competition. "If we come up with a deal that we can't afford, why would we do it?" said Nenshi. "I would be the first one to say we're going to abandon the bid." But in the next breath, the mayor said that based on the numbers they're hearing, "I'm feeling good. Absolutely do-able." Coun Druh Farrell, a skeptic of an Olympic bid since the idea was raised a couple of years ago, has a different take based on the same range of numbers. "If we move forward and its impact on debt, we would be really putting all our energy into sport," said Farrell. "I think sport is incredibly important to Calgary but it would leave very little room for any other priorities." Council will vote next week on whether to continue the Olympic bid work. If it votes against the project, then all work will cease. However, if it votes to proceed, negotiations with other governments will keep going as will the preparations for the plebiscite on Nov. 13. City manager Jeff Fielding weighed in during Tuesday's committee meeting on the outcome of that non-binding plebiscite. "You can probably expect that the plebiscite will have a very narrow margin, based on what we know to date already," he said. The provincial government has agreed to cover the cost of that plebiscite. Cities bidding for the 2026 games are expected to get a bid book outlining their proposals in to the IOC in January. The IOC will name the 2026 host city in the fall of 2019.